If things go according to plan for Tucker Hibbert at this weekends ISOC season finale in Lake Geneva, Wis., he'll lock up his 10th Pro Snocross Championship title and his 200th career start. Click to read a few more amazing stats about the indomitable Hibbert. 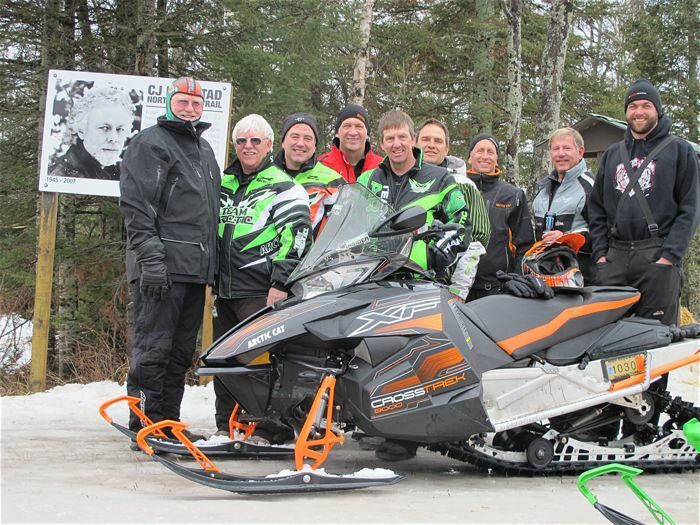 Last week eight friends and I gathered for day of snowmobiling on the CJ Ramstad North Shore Trail. There were World Champs, I-500 champs and one media guy who has no credibility. In other words, we were a bunch of chumps. As per usual, shenanigans ensued, hamburgers were consumed, animals were harmed in the making of the show and we somehow managed to log 120 miles without catastrophic failure (I think). Click to read about our Ride with the Chumps. Honoring the man, the legend. The one and only, Roger Skime. 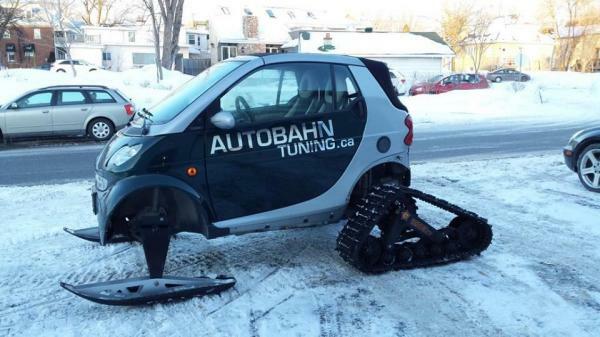 Seriously impressive job by this guy who turned his Smart car into an enclosed sit-in snowmobile. Guy walks into a store with an axe. Clerc asks, "Why the FXR gear?" Does Being the Fastest Matter? 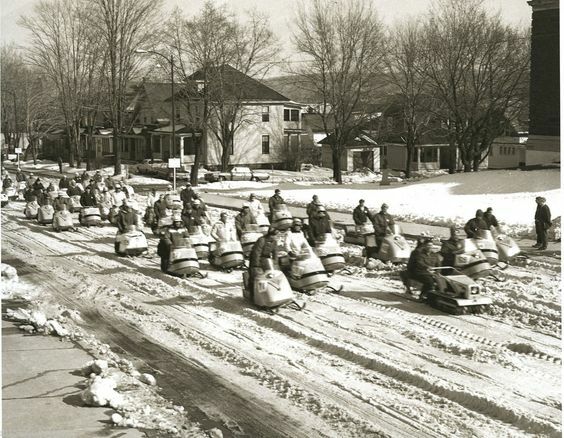 For the better part of 50 years, snowmobile one-upmanship has been predicated on who's fastest across the lake. I asking you now: Does it matter? Click to read and answer the question. 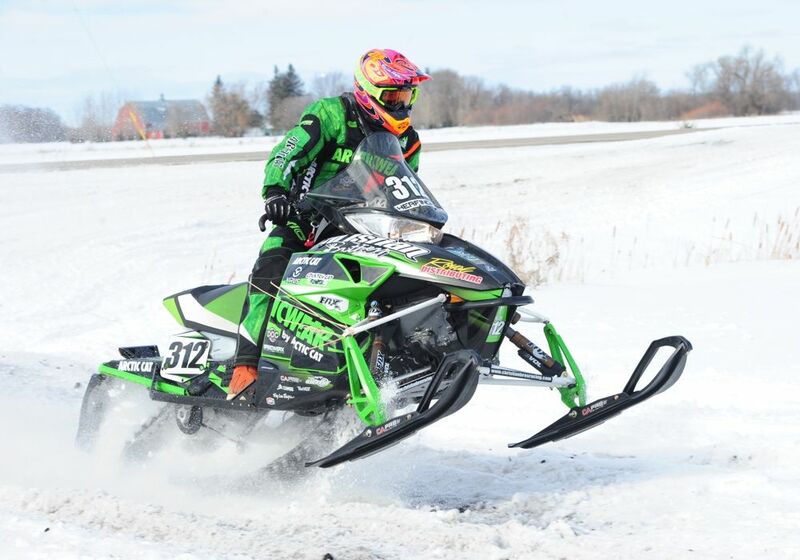 Last weekend, Team Arctic hillclimb, cross-country and snocross racers scored a grand total of 34 class wins and 83 podium places. Click to read the Team Green press release. Look inside the technology that Yamaha and Arctic Cat have created in the new 998cc C-TEC4 turbo triple that powers the 9000-Series sleds for 2017. Here's a sweet video recap of what's new on the ZR line of 2017 Arctic Cat snowmobiles. 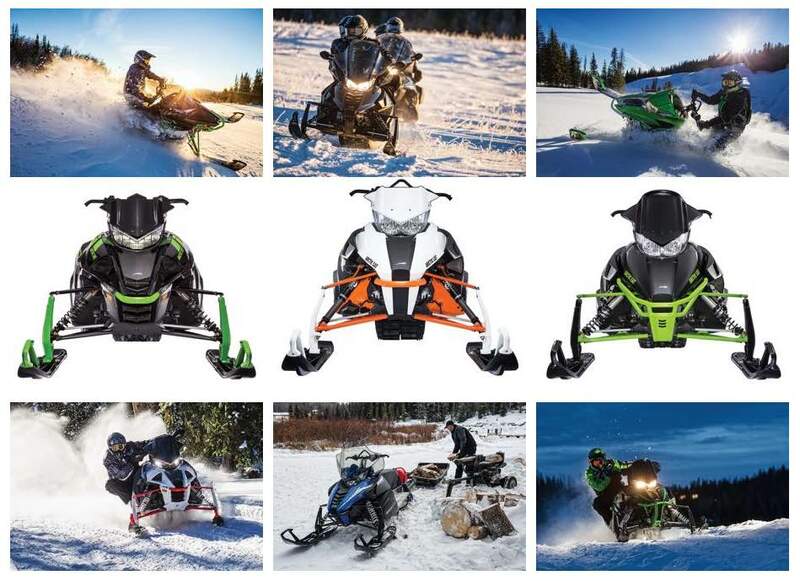 A nice, tidy summarization of the 2017 XF family of crossover sleds from Arctic Cat. There's no way to fully honor a man who has so singlehandedly shaped both Arctic Cat and the snowmobile industry. But there IS this stunning, cool and commemorative Roger Skime-Edition 2017 Arctic Cat ZR 6000! It's (very) limited, it's in the new body plastic and it's just the kind of lightweight, premium-performance snowmobile that the legend himself has pursued for 55 years. Ride along with Tucker Hibbert, Dave McClure and Rob Kincaid as they rail, roost and launch the new Arctic Cat SVX 450 snow bike. See the process and the machines! 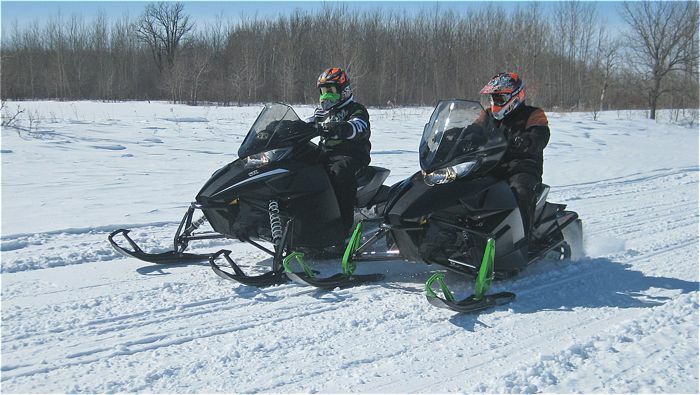 At last, Arctic Cat has launched their 2017 line of snowmobiles! It will be a year that throws more than one surprise, both for what machines it is offering (new Thundercat!) and for what it isn't (read the story). There's a lot more to say about the 2017 Cats, and I'll have full-feature stories in the coming days and weeks. For now, here are the 16 things you must know about the Arctic Cat for 2017. This is what it's like when your proverbial engine is firing on all cylinders... when the team runs like clockwork... when you've dotted all the i's and crossed all the t's. When you're the best snocross racer in the world. It was the best of times for Team Arctic at the 2016 USXC cross-country in Warroad, Minn. 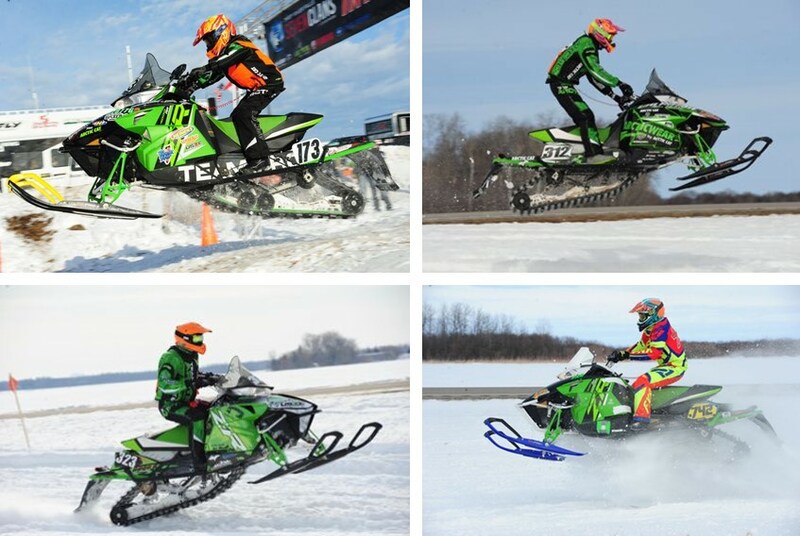 There was (mostly) blue skies... plenty of snow... rough ditches...high-speed lake... and 18 class wins (out of 21) for Team Green. I'm thankful the roving band of thugs who had been terrorizing innocent neighborhoods have been displaced by men on snow machines. I'm thankful the streets are (finally) safe. I'm thankful I'm NOT the guy sitting backwards on the Diablo Rouge that's leading this hit parade. And I'm thankful it's Friday, Feb. 26, 2016. Snowmobile softball...of course! Actually, this is pretty dang cool. And I can imagine some pretty funny situations occurring, especially someone trying to steal home. One GREAT time to have a 10-plus-10-equals-20-in. handlebar riser is when a deer jumps between you and your windshield. 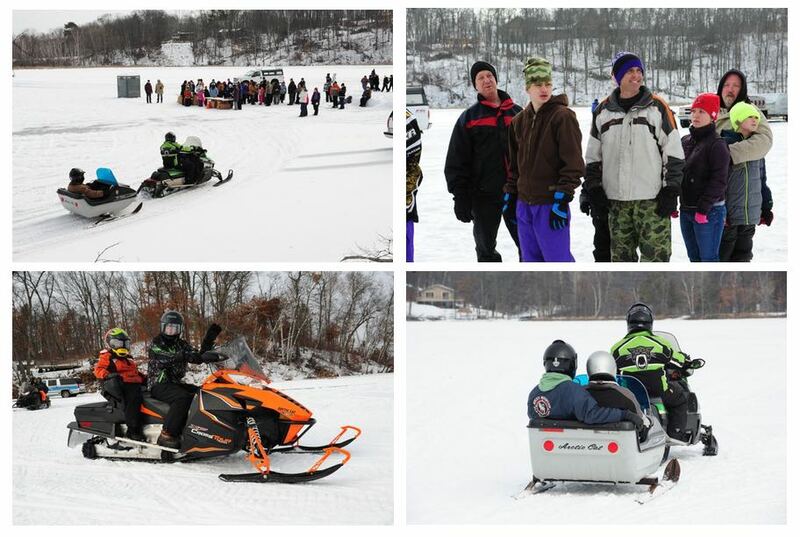 Last week I had the great pleasure of watching 240-plus kids get to ride passenger on snowmobiles near Baxter, Minn., many for the first time in their life. The kids, aged 7 through 20, were born with cognitive or developmental disabilities, and they were PUMPED about the day! The event is called the Region 5 Special Olympics Winter Carnival and organized by Confidence Learning Center in Baxter. Watch the Arctic Cat Wildcat duo of Dean Bulloch and co-driver Karl Munford take their Wildcat Sport 700 to 4th overall in the Unlimited Class at the 2016 King of the Hammers race. Pretty gnarly terrain! 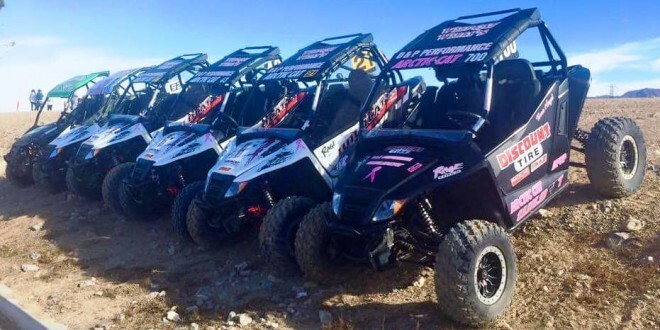 Arctic Cat’s Wildcat Racing Team took on Round 2 of the WORCS series at Buffalo Bill’s Casino & Resort in Primm, Nevada and sent a message that the Wildcat Sport is a serious contender. Proof came in the 900 Production class with Stacey Pike leading the podium charge in first followed by teammate Jim Berry in second. The 700 class was a similar story as the Wildcat Sport took four of the top 7 spots on the rough, sandy course including a 2nd place podium by Kaleb Meyers. The next WORCS race is in Las Vegas on Feb 26-28.